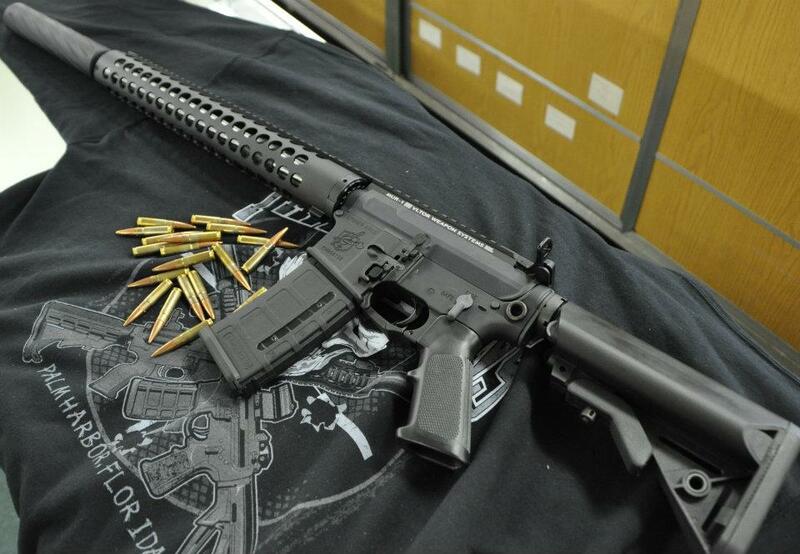 This is a custom short barrel AR15. 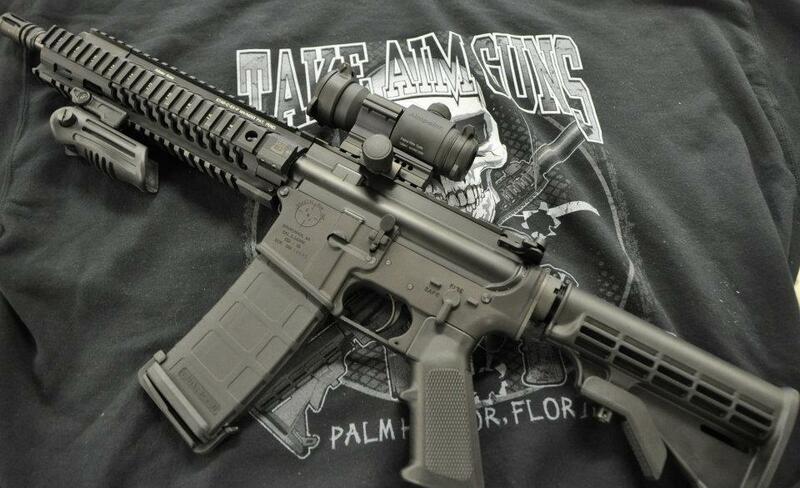 We built this rifle with a Coastal registered SBR lower. An Adam’s Arms piston upper with an 11 ½" barrel and a Samson quad rail. A CAA folding foregrip and a Magpul 30 round PMag. 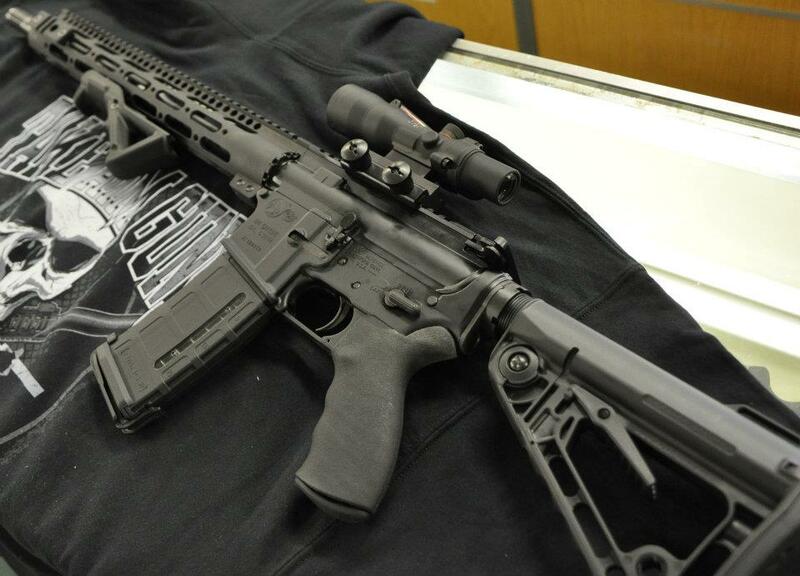 Topped off with an Aimpoint Patrol Rifle Optic. Proof that great things come in small packages. It’s the latest thing. Building the ultimate weapon system for the unthinkable. Surviving the end of times. We watched it in movies for years. We’ve played it out in video games. And now everyone has their version of the best Zombie Defense gun. We went all out when we designed ours. Built from the bottom up, our Zombie slayer features a high power Surefire forend weaponlight for fighting in the dark. An extreme spiked flashider for getting up close. A custom Eotech sight with a biohazard symbol reticle. 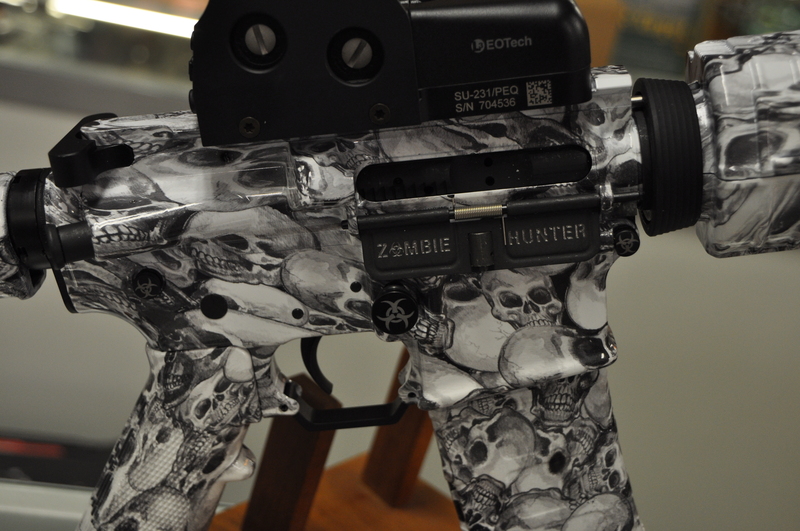 The dust cover, pivot pin, takedown pin, trigger guard, mag release, and charging handle all have custom Zombie logos. Then we finish it off with a complete skull finish. Load this piece with 30 rounds of Hornady custom Zombie ammo and you are ready for the apocalypse. After all, it’s only a virus away!